The JDRF One Walk. Help us turn Type One to Type None. October 21, 2017 is the big day. Come join us for what will be a great day. 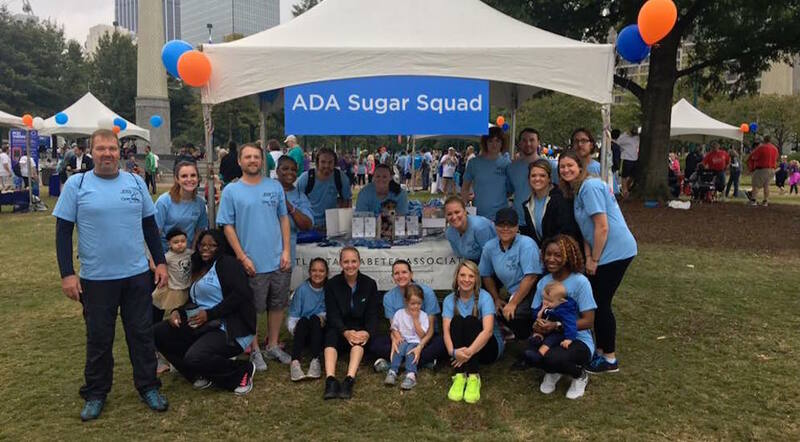 Stop by the ADA Sugar Squad tent (next to the stage) and say hello. And if you still want to be a part of our team there is still time. Follow the link below. We also want to say a big thank you to all the patients and friends of Atlanta Diabetes that bought one of really cool tennis shoes or just donated to our team. It is with you that we fight this battle and we truly are grateful for all your support.